A refractometer is a scientific instrument used to gauge a liquid's index of refraction. The refractive index is determined by placing a liquid sample on a prism and allowing light to pass through them to create a visible line on an index or scale. Each liquid has a different refractive index. The refractive index of distilled water serves as an established baseline and point of comparison. Refractometers employ internal measurement indices that vary depending on the refractometer's intended use. A refractometer used for measuring the saline level of sea water will therefore have a different index in it than a refractometer used for measuring the sugar weight of a grape juice. However, regardless of the index inside the refractometer, the steps you take to read a refractometer do not vary. Calibrate the refractometer using distilled water. Hold the refractometer in a horizontal position. Open the refractometer's daylight plate and place two drops of distilled water on the prism. Close and press the daylight plate to spread the water evenly across the prism. 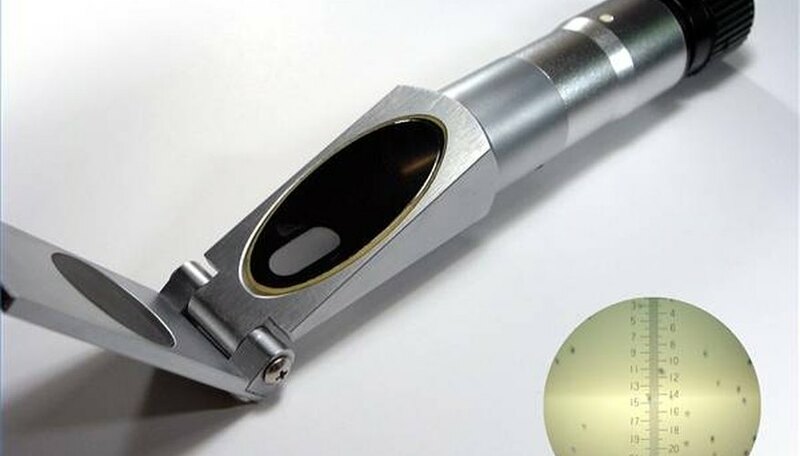 Point the front of the refractometer toward a light source and look into the eyepiece. You will see a circular field containing the index used for your particular type of liquid. The line created by light passing through the liquid and prism will be delineated either as a bright point in the overall view, or by a blue color in the top of the circular view and a white color in the bottom of the view. The line should fall at the zero point of the index. If it does not, adjust the calibration screws on the refractometer until it does. Measure the refractive index of your liquid sample using the calibrated refractometer. 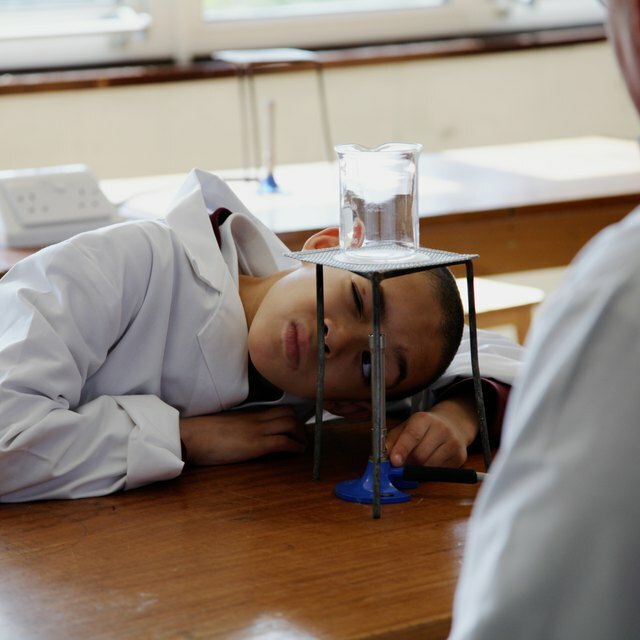 Wait until the distilled water you placed on the prism has evaporated to avoid contaminating the new liquid sample. As in the calibration process, hold the refractometer in a horizontal position. Open the daylight plate and place two drops of the sample liquid on the prism. Close and press the daylight plate to spread the water evenly across the prism. Point the front of the refractometer again toward a light source and look into the eyepiece. 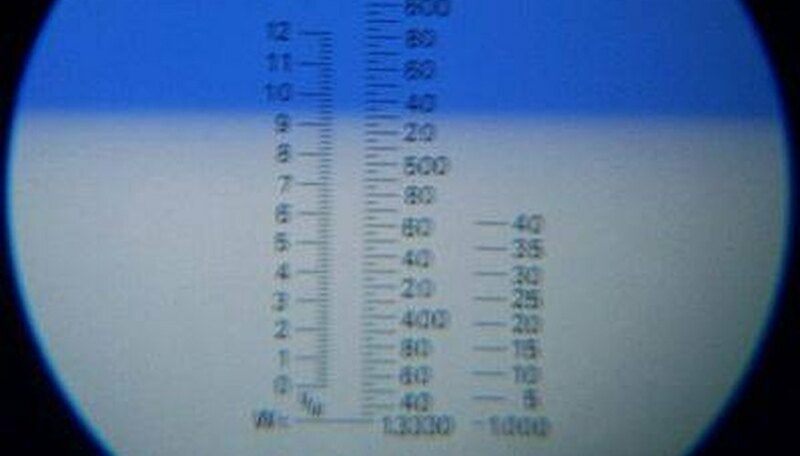 You will now see the line delineated at a different point on the refractometer's internal index. Read the point on the index at which the line falls to determine the refractive index of your liquid sample. N., Sam. "How to Read a Refractometer." Sciencing, https://sciencing.com/read-refractometer-5135510.html. 24 April 2017.